a) we should take Gepida e-bikes (range up to 50 miles), which would be fantastic on the hilly route and a good opportunity to show other riders how they don't have to grind up hills at wobbly slow speeds and return cream crackered and sweating like a pig..
b) taking e-bikes on a charity bike ride is cheating a little bit? If you are being sponsored for a 25 mile bike ride then it's cheating, if not then go for it and see what reactions you get. I'd be inclined to think it was cheating, too. You're being sponsored because of the effort required. Unless, you make it plain to the people sponsoring you that you'll do it on an electric. See what they say. I'd be interested in the outcome. KMX Typhoon recumbent trike (non-eleccy) with a 52-39-30 triple chainset. Technically speaking we've not requested any sponsorship from anyone as yet, but we would make it clear that it was being done with assistance. I just wonder if the reaction from fellow riders would be "hey that's cheating" or "hey, that's great, wish I had one" ! I should add that originally I prepped a vanilla, non-electric for this ride, believeing that it definitely is cheating. Then a friend tried to persuade me we should do it on the electrics, to raise awareness. We haven't decided either way as yet..
Why is it cheating? If you are up front about it if you are sponsored, then you still have to pedal (unless you use throttle only and that might be considered to be cheating, unless it is the only way you could do it). I agree that if you are disabled then it would be fine, but why should a disabled person have to identify themselves or justify themselves just so that they can take part with an electric bike? If, and that's an IF, Tom is disabled then the people likely to sponsor him probably already know. Don't recall actually saying he should say he's disabled. It would be cheating if it could be done on a non-electric. Why? Because people are sponsoring because of the effort involved. People cough up because you are doing something that is beyond the norm for that person. To just whiz round on an electric that requires no real effort may leave sponsors feeling cheated themselves. Unless they are ok with it. But what of the other people on the ride? They might not be so appreciative while they are huffing and puffing the last ten miles and sweating buckets. I had the chance to do a 16 mile charity ride but didn't get sent the paperwork in time (actually, never got it at all). I had already decided on the trike as I felt that using the electric would not be an effort worthy of sponsorship. The charity ride Tom is contemplating is a charity ride, not a 'let's raise awareness of electric bikes' ride. The two, in this instance, need to be kept separate. I once did a sponsored swim. 100 lengths of the local pool. People paid to see me (and others) do it. It was hard but the money we all raised was well worth it. Had I done it on an electric torpedo type thing I would've been blasted from everyone in the place. Bit difficult to smile when people are shrieking out "Cheat. Cheat. Cheat." I'm sure Tom will make up his own mind and do what he thinks is right and that's cool whatever he decides, but he did ask. Sorry but how can sitting in a car be cheating? They are two totally different forms of transport! They don't do adult pedal cars for the road - do they? The vast majority of disabled people have an unseen disability, so people wouldn't necessarily know if somebody was disabled. Examples can include people with heart problems, chronic fatigue etc. We don't necessarily think of these as 'disabilities' because we often look for a wheelchair or a guide dog, or some other visible sign etc. 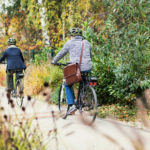 But these conditions can be disabling for some people, and therefore somebody using an electric bike might well look to be non-disabled, but might well be riding an electric bike for disability-related reasons. That's why I don't think it is cheating if people sponsor somebody in the knowledge that they will be using an electric bike. Even with an electric bike, a disabled person could well be putting in more effort than a super-fit athletic teenager doing the same sponsored ride. What I meant by using a car was, that I often get accused of cheating by riding 5 miles to work on an electric bike (and yes, this IS for unseen disability-related reasons) by people who drive in a motorised vehicle. If my using a battery to get to work is cheating, then couldn't the same thing be said of them??? I also sometimes use my car for exactly the same disability-related reason if I can't cycle. The British Heart Foundation think it's cheating as they ban electric bikes from the London to Brighton run, I can't think why they would ban them on safety grounds. I can see the point at with invisible disability but short of hanging a sign around your neck I don't see a solution. It is also debatable if many people would consider a dicky heart a disability. I spend most of my day at work talking to people about purpose. This is another case in point - what is your purpose? 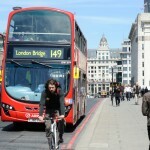 a, purpose of entering the charity cycle ride? 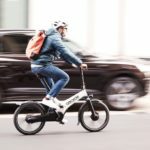 b, purpose of considering riding an e-bike? For example - using a charity ride to promote a business - not on from my perspective. Joining a charity ride to help raise money and awareness of opportunities to get out there cycling - spot on from my perspective. My purpose in posting? To try and help answer your question and offer another way to look at it. Did I manage that? You mention Gepida's ,ie plural .Stab in the dark this,I saw a man and ladies Gepida at Alice Holt nr Farnham last Saturday.Unusual to see an ebike yet alone a matching pair in the bike rack by the cafe! It wasnt you and your better half was it? Electric Bikes Surrey Electric Bikes. For some this could be a disability, for others, not. The legal definition is something that has a long-term and substantial adverse effect upon a person's ability to carry out normal day to day activities .....ie likely to last 12 months or more or for the rest of the person's life and substantial is defined as more than minor or trivial. A lot of medical conditions can be included as well - even if they can be treated with medication, as you have to think about it if the medication wasn't there. So, possibly diabetes, definitely cancer (from the point of diagnosis, not just when it starts to have an effect), MS, CFS, Parkingsons and on and on.. So, a dicky heart where you can't walk down the road, or climb the stairs without becoming breathless might well be considered a disability. I guess people define themselves, or others hate the label. The only solution, possibly unattainable, is greater public awareness and a more inclusive society. And potentially, a disabled person could challenge discrimination under the DDA ... ie if he/she can only cycle on an electric bike for a reason related to the disability, but then isn't allowed to do so, then they might have a fair case. Any barristers out there? but might well be riding an electric bike for disability-related reasons. That's why I don't think it is cheating if people sponsor somebody in the knowledge that they will be using an electric bike. I wouldn't sponsor a healthy person to do it on an electric. If it's an invisible disability I think they'd have to say so. If someone told me that they can't ride an ordinary bike but can do it on an electric if they go gently I'd have my name on the form like a shot and they'd get mucho respect from me. But if I'm not told how can I decide? We all need input to make our decisions. I'd say if I had an InvDis. If someone told me that they can't ride an ordinary bike but can do it on an electric if they go gently I'd have my name on the form like a shot and they'd get mucho respect from me. Unless you don't like them, then you could discharge 95% of the battery just before the ride begins. ROFLMAO! Or wiring the battery to their saddle Oh, hang on, they might then do the 25 miles in record time! Thanks everyone for your input, I've not been back on here for a few days (was having a great weekend at Bike Radar Live and visiting friends / family) and hadn't realised I'd started such a discussion! The original allure of the charity bike ride for me (being honest) was that it looks like a fun way to spend Sunday morning - cycling through the beautiful Hampshire countryside on an organised ride with lots of other people. Raising a bit of money for charity is good too, of course. As I mentioned before, we were all set to do this on standard bikes, which I spent quite a bit of time getting ready (straightening wheels etc.) and I naturally assumed that doing it on electrics would be cheating / missing the point of a charity ride, and taking away some (a lot) of the challenge (I'm not disabled). It was only when a friend of mine tried to persuade me that doing it on electrics would be a good idea that I considered it, and sought the advice of you lot . 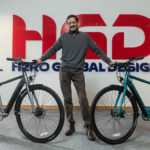 I guess he was really looking at it from a point of view of raising awareness of e-bikes in general and our business in particular. Personally I think that using a charity event to promote your business IS slightly questionable - although local bike shops and other businesses are all doing it with big logos everywhere for this event! Anyway, had we done it on electrics we would not have sought sponsorship, but would have made a donation from the business. As it is I'm pretty sure we'll do it sans electricity. I'm sure it'll be completely knackering, but I could do with the exercise anyway! In reply to Bigbee - that wasn't us in Farnham. Not all 'disabilities' are obvious - except to the person living with them! I live with three - arthritis, asthma & angina. I don't claim DLA or AA because I don't need to and because I don't like lables. Without the pedelec I can't cycle 200 metres from home - hills are such a nuisance! With the magic wand of electricary I can ride 20 miles. No contast. I raise money for charity by fair means and foul and consider it effort well spent. So, go for it!